What should I do to prepare for labor? Stay off the couch, and out of the recliner. Sit forward on a chair, or on the floor, allowing baby to swing around into the correct position for birth. 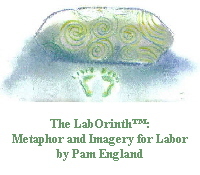 Attend a comprehensive birthing class given OUTSIDE the hospital setting. How do I know when it’s REAL labor? Contractions that get progressively closer together, longer and stronger. 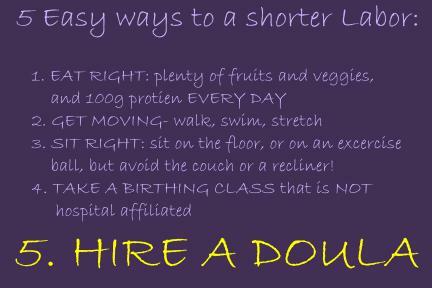 Contractions that do not go away with a change in position, shower or bath. 411- contractions 4 minutes apart, lasting at least 1 minute each, for at least 1 hour. What can I do to avoid a Cesarean section? Educate yourself, as much as possible about the birth process. Attend a comprehensive birthing class given OUTSIDE the hospital setting. Bradley Method, Lamaze or Birthing from Within are all good options. Get good Chiropractic care during your pregnancy. Prevent Cesarean Surgery is a short inspirational and entertaining production. Using real quotes spoken by women who have had both a cesarean and vaginal birth, music, photography, and statistics, it presents invaluable information that is researched based. All women of childbearing age will benefit from this educational movie. It is a must see! Cesarean rates in the United States are at a record high for both new and experienced mothers. Despite vast amounts of research regarding the increased risks for both mothers and babies who experience cesareans compared to vaginal birth, there is a growing acceptance of this surgery in our culture. This movie addresses the question "Why should we try to avoid unnecessary cesareans?" It also presents advice for how to increase the chance of having a normal safe vaginal birth based on recommendations from organizations such as the World Health Organization, Lamaze International, and the Childbirth Connection. o Snacks for birth partner. o Juice, popsicles, or other clear fluids for mom.